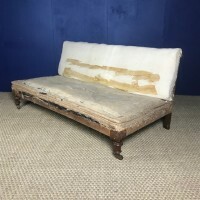 A large Victorian country house Chesterfield circa 1890 for re upholstery covered in lovely old glazed chintz and with lovely soft squishy upholstery underneath on oak bun feet. 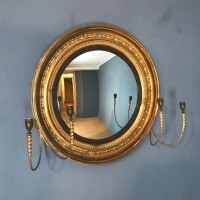 A large and impressive George 111 gilt convex mirror circa 1810 with really crisp decoration with lovely original water gilding. Provenance : The 5th Earl Temple of Stowe .Newton Park Bath. 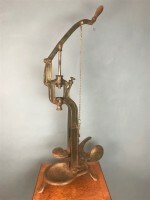 An unusual and impressive 19th c French cast iron beech and brass wine corker from a Bordeaux Chateau in full working order. 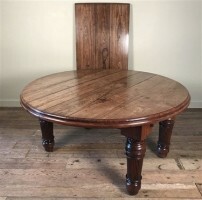 A large Anglo Indian padouk circular dining table circa 1890 5ft diameter with one extra leaf extending to 89 inches wide on massive solid reeded legs. The top with a beautiful faded colour. 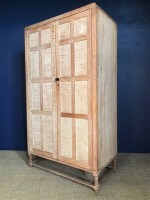 60 inches diameter 89 inches extended 31 inches high. 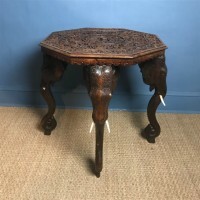 A large Anglo Indian carved black wood octagonal elephant table. A large Anglo Indian carved black wood octagonal elephant table. 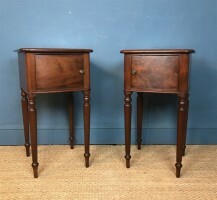 Bombay circa 1880 on 4 legs modelled as elephant heads and trunks. Read more: A large Anglo Indian carved black wood octagonal elephant table. 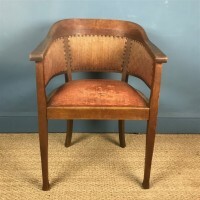 A stylish English oak desk chair circa 1925 retaining its original fabric. 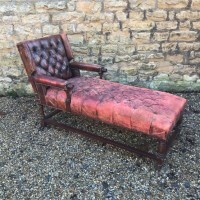 A rare Victorian mahogany reclining day bed circa 1900 with the original red leather upholstery fully restored and re webbed from underneath. 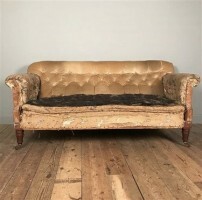 69 inches long 28 inches wide 42 inches high when up. Seat height 20 inches. 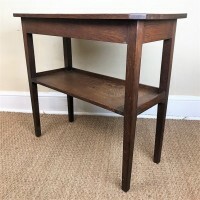 Read more: An Arts and Crafts 2 tier oak table circa 1910. 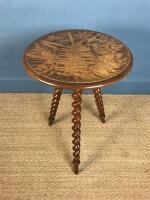 A Scottish Victorian walnut gypsy table by Taylor of Edinburgh 1890 the top painted with ferns on 3 barley twist legs. 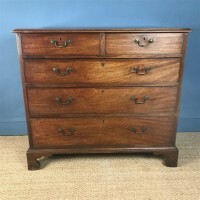 A small Bath Cabinet Makers limed oak chest of Drawers circa 1930 designed by Charles Richter with exposed pegs to the sides the front of the drawers with a band of burr walnut. 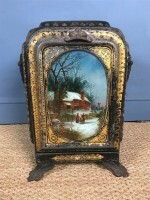 An Edwardian opaline Glass dish light circa 1910 with rams head mounts and the original brass chains and hanging mount . 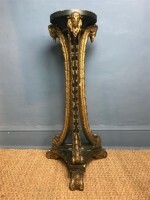 A Victorian brass and leather club fender circa 1910 in wonderful original condition with traces of the original lacquer to the brass and the soft tan leather with the original brass back plate. 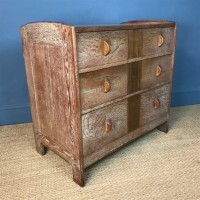 Size: 54 inches wide at top 51 inches wide at base Internal width 44.5 inches Overall depth 13.5 inches 16 .5 inches deep overall 24 inches high Depth of top 7 inches all round. 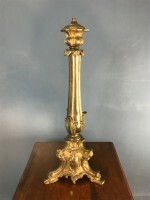 A large William IV gilt brass oil lamp circa 1835 indistinctly stamped Birmingham to the weighted base . 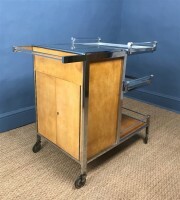 An important French birch chrome and glass Bar or Cocktail Trolley designed by the celebrated designer and architect Jacques Adnet in 1930 with two detachable glass serving trays and a hidden ice bucket to the top. 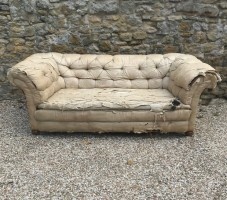 The side opening with the original key opening to reveal an interior with fitments for cocktails and champagne glasses. An identical trolley in rosewood is illustrated in Alain -Rene Hardy`s book on Jacques Adnet on p 227. 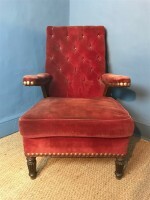 A mid 19th century rosewood armchair c 1850 covered in lovely old rust coloured corduroy.